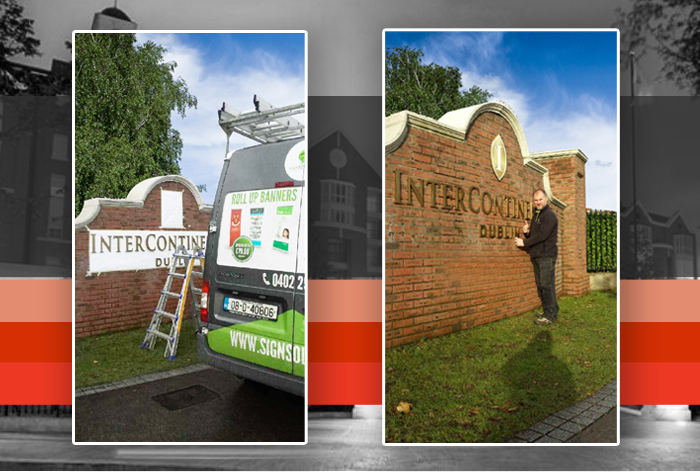 January 1st 2015, the well known Intercontinental Dublin part of the Award Winning Intercontinental Hotels Group opens it’s doors on Simmonscourt Road, Dublin 4. 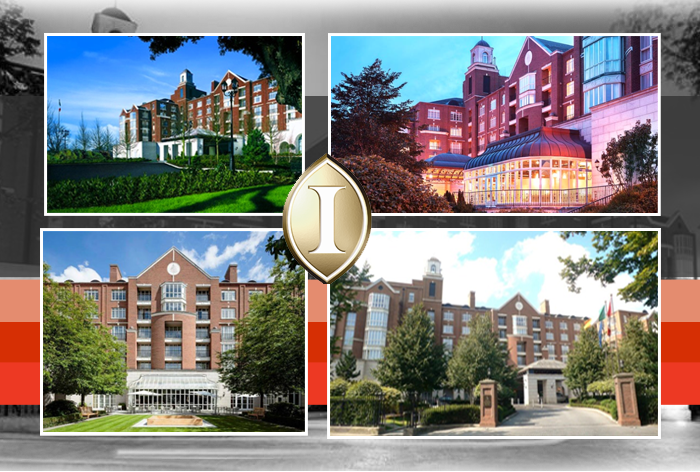 IHG is the home to the world’s most prestigious and well known brands with some 4,600 hotels across 100 countries, serving over 150 million guests each year. As part of the re-brand, Sign Solutions…every sign imaginable and specialists in hotel signage were excited to have been chosen to manufacture and install their signage brand at the Dublin Hotel. The assignment included signage manufacture of their logo in Raised Carved 3D lettering, sprayed to our client’s specification with concealed fixings to the rear of each letter. Our team went to manufacture and our installation division fitted their signage on the official change over, January 1st 2015. 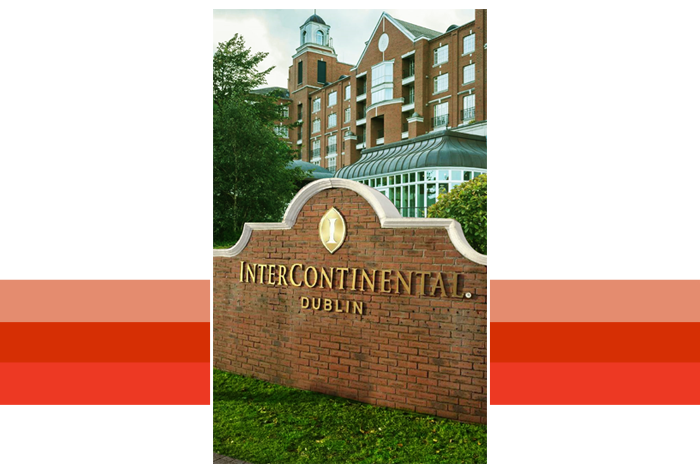 We worked closely with the hotel’s chief engineer to achieve this high quality Intercontinental Hotel branding. The signage package consisted of the main entrance signage – gold sprayed lettering with concealed pins and also hotel directional signage. Next From Storeroom to Playroom…Family Room in the Children’s Leukaemia Ward receives a makeover!